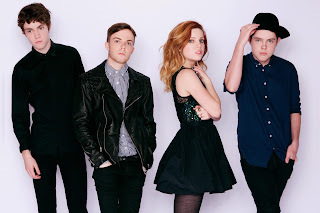 Echosmith were the special musical guests last night (November 14th) on The Tonight Show with Jimmy Fallon. You can watch the band's performance of their platinum selling single "Cool Kids" below. The track is taken from Echosmith's stunning debut album Talking Dreams which is available now via Warner Bros.
Support will come from The Colourist.